As the end of summer is approaching, here’s a digital postcard from my recent trip to Germany. Adjacent to the Haus der Kunst, the infamous exhibition space in Munich built by Hitler in the 1930s as a showcase of German art, now a temporary exhibition space devoted to cutting-edge contemporary art and blockbuster historical exhibitions, runs a tributary of the river Isar where surfers practice their skills in freezing water hundreds of miles away from any coastline. Isar surfers. Click for movie. 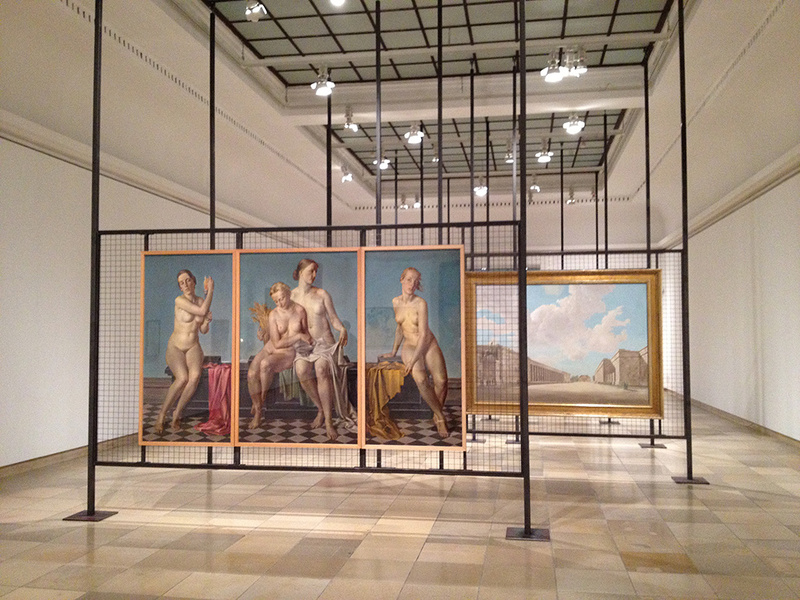 Inside, an exhibition on the history of the Haus der Kunst displayed several paintings Hitler had purchased for his personal art collection from the annual exhibitions of German art, all very much in the anti-modernist style of the national-aestheticism propagated by the Third Reich.